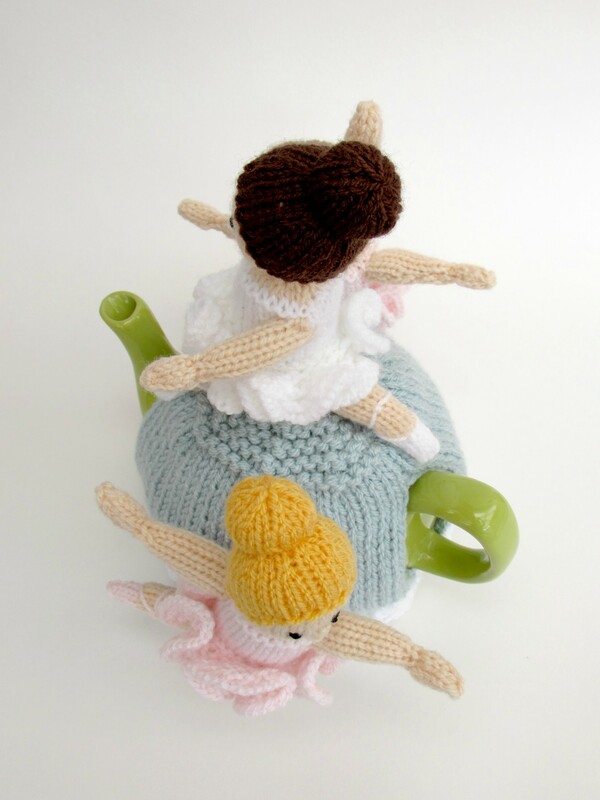 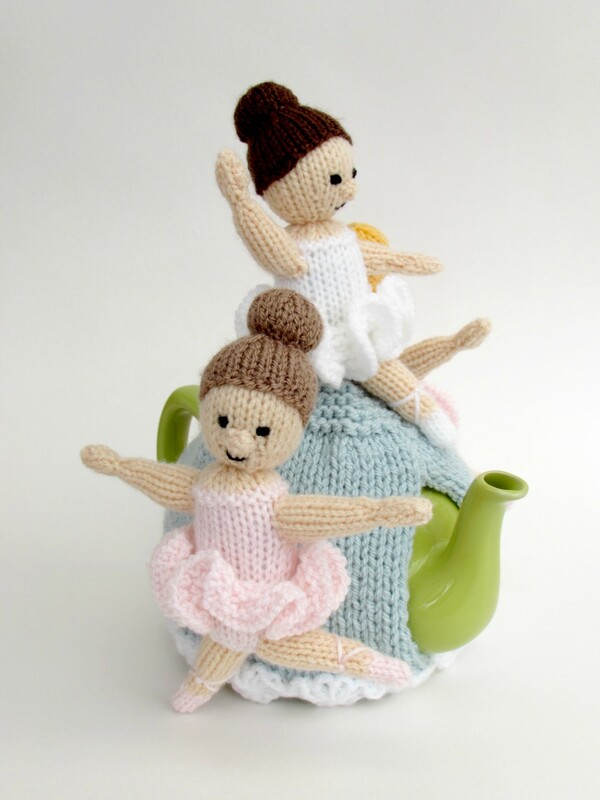 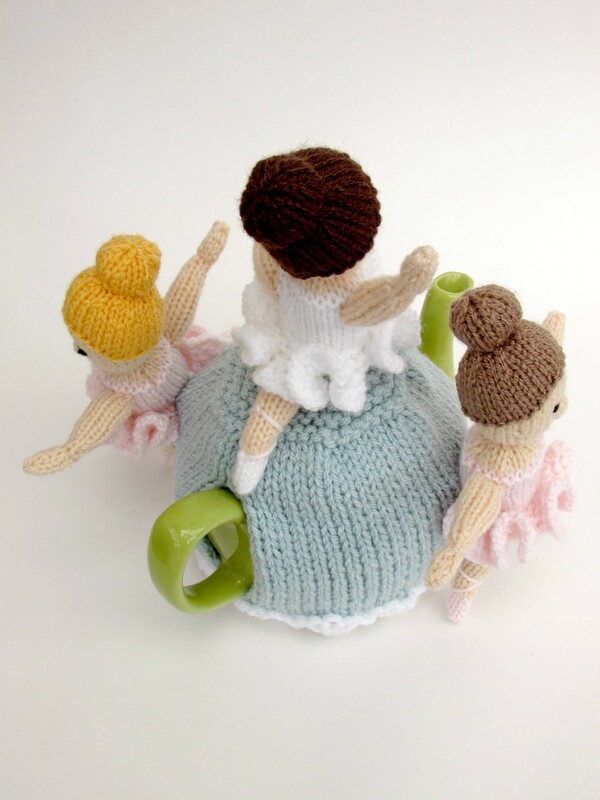 Who wouldn't want a charming tea cosy with three little ballet dancers in tutus twirling about it? 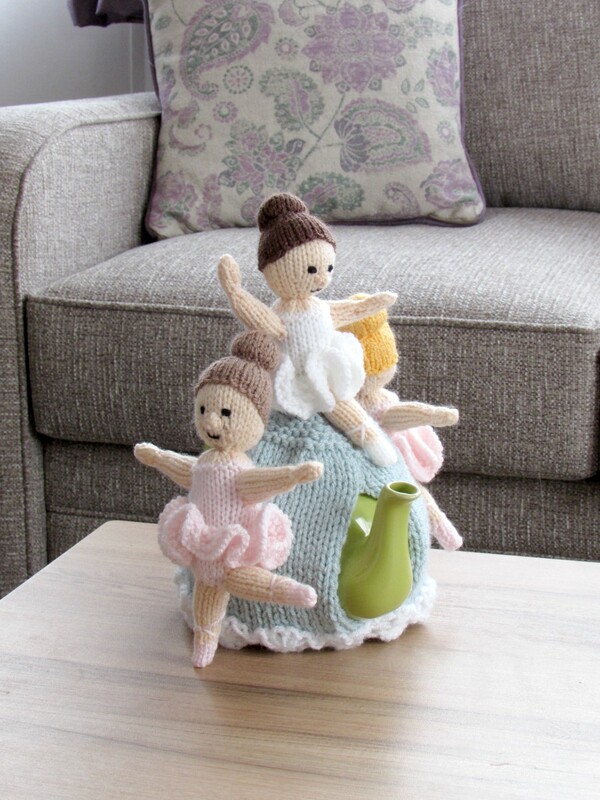 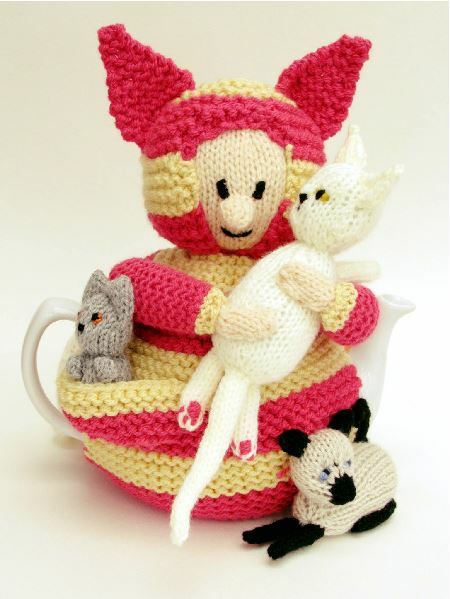 The ballerina tea cosy has three adorable little girls about it, one on either side and the prima ballerina on the top. 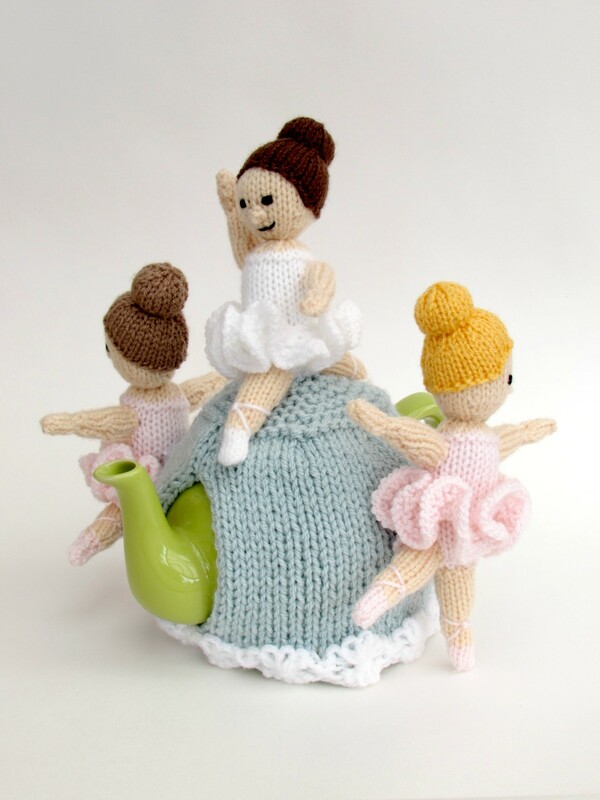 The main cosy is knitted in duck egg blue and is edged with white flowers, water lilies perhaps? 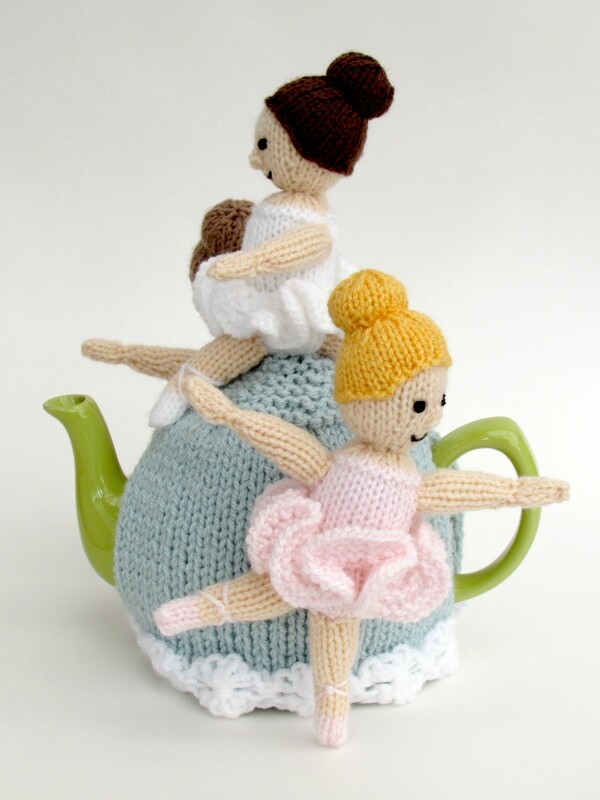 Maybe the ballet they are performing is swan lake? 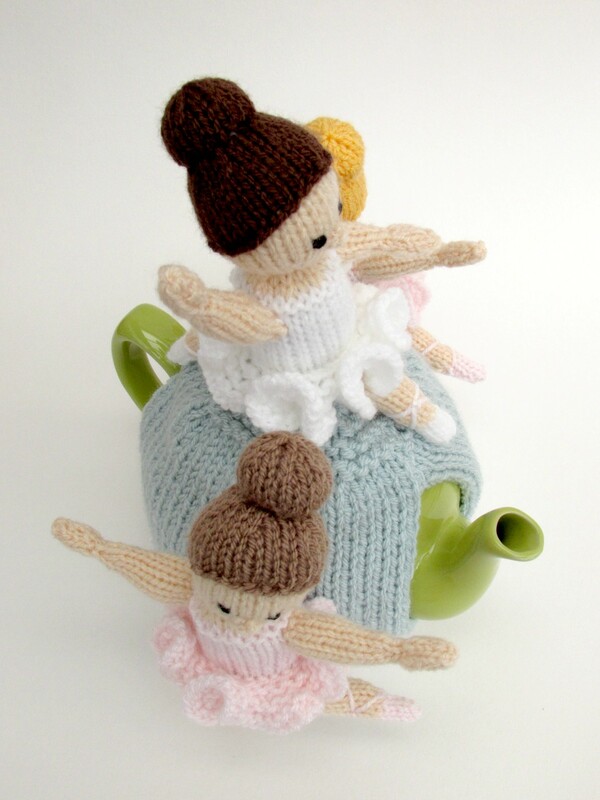 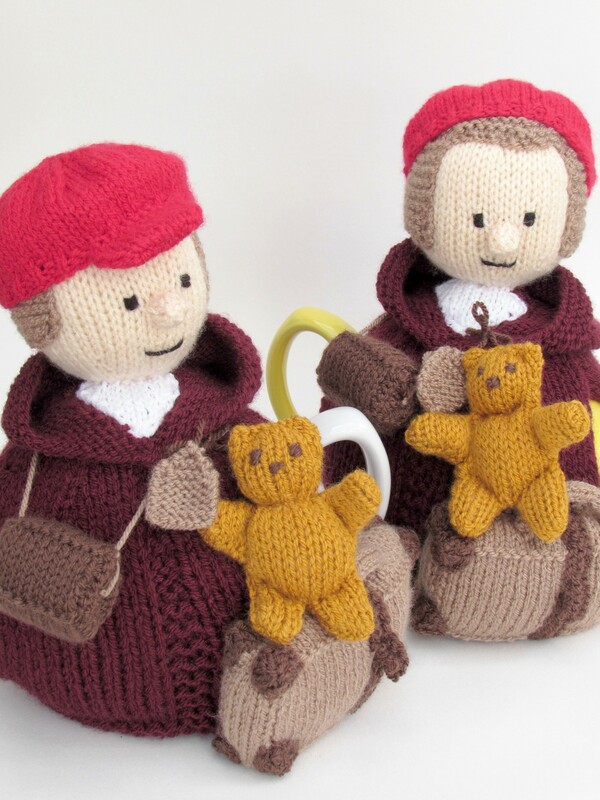 The little girls could be knitted and used as dolls. 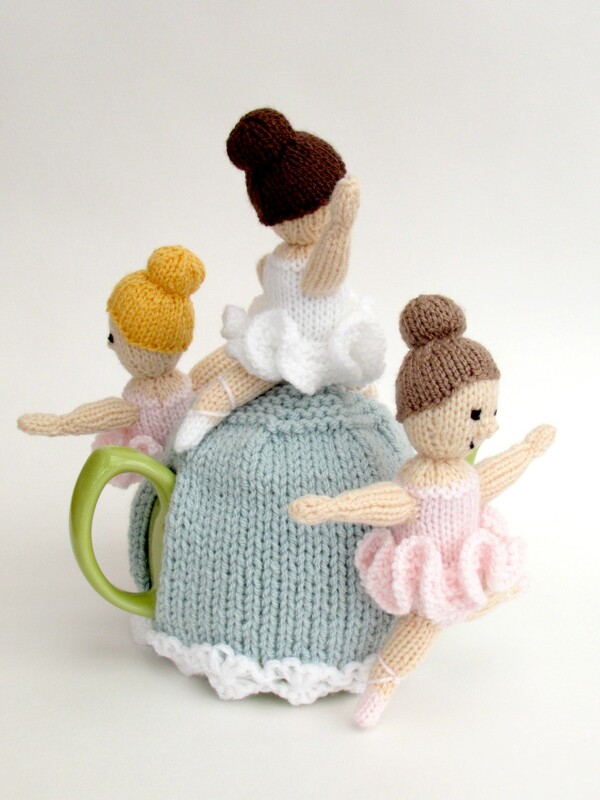 they could even be personalised to look like little ballerinas that you know. 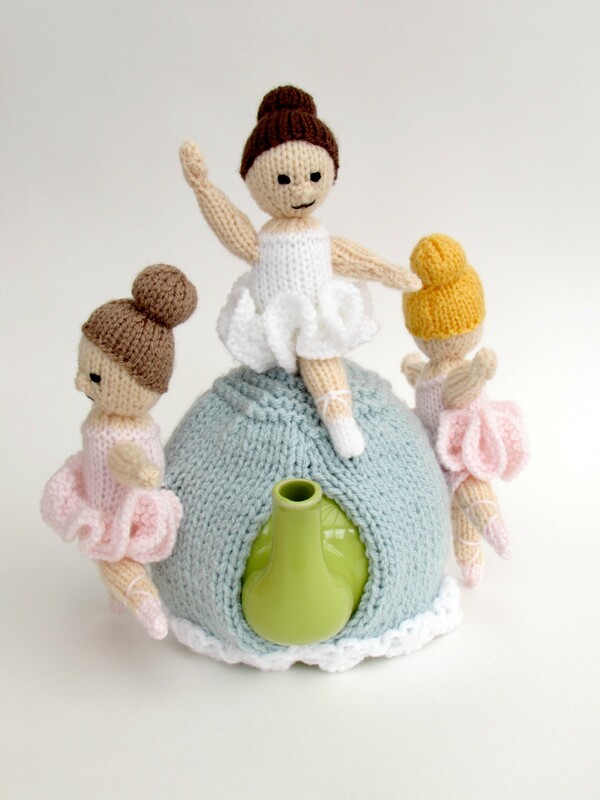 The ballerina would also make a charming Christmas tree decoration and could be knitted in a DK shimmer or sparkle yarn. 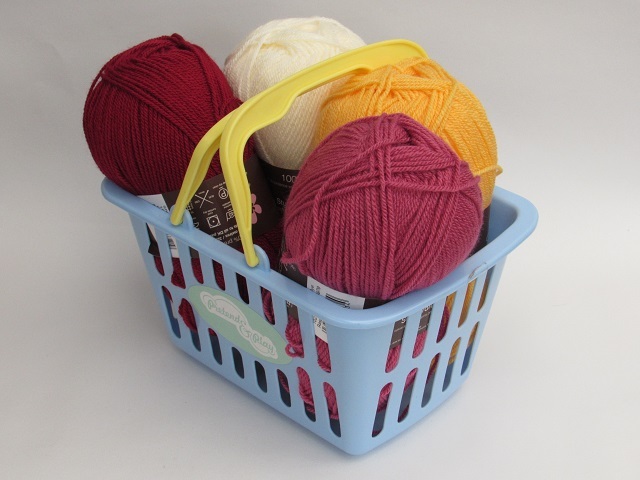 The floral edging is really easy once you get the hang of it, and looks so effective. 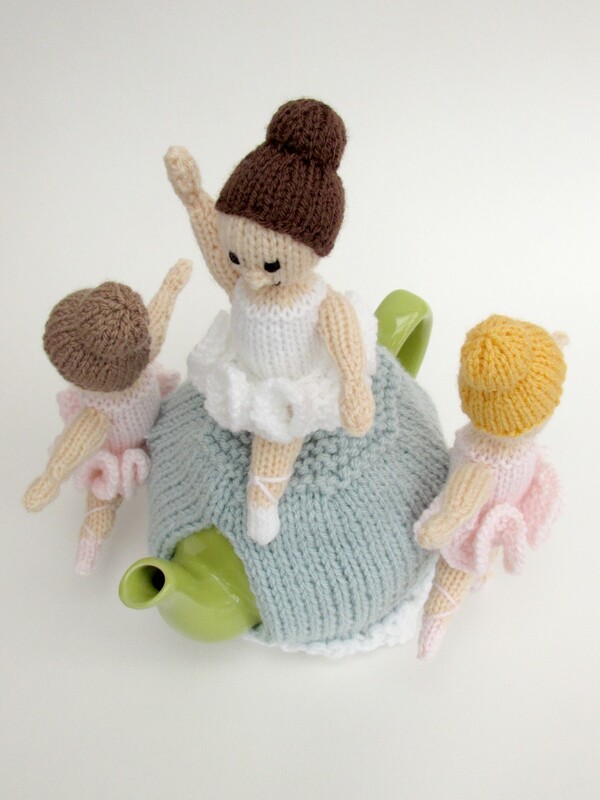 There are demonstration videos on Youtube, enter 'Flowers in a Row' into the search. 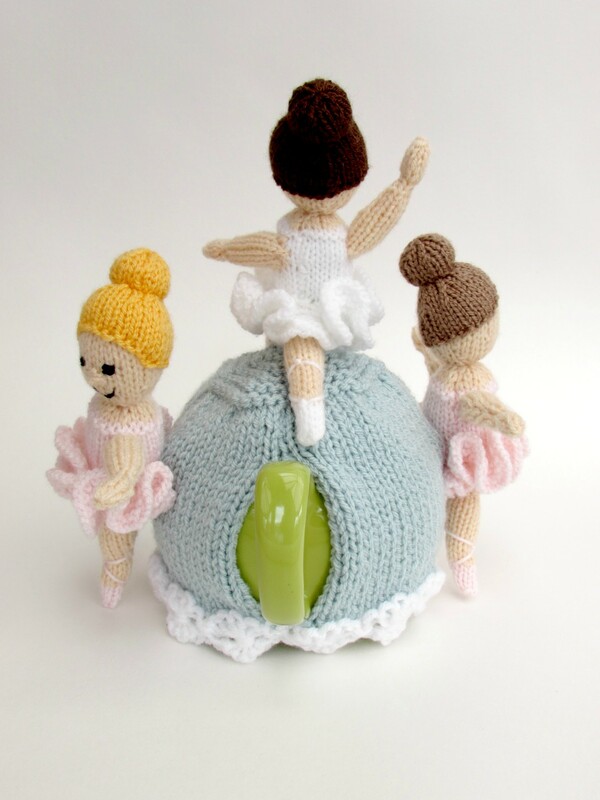 The ballet dancer tea cosy is perfect for anyone who loves ballet or tutus. 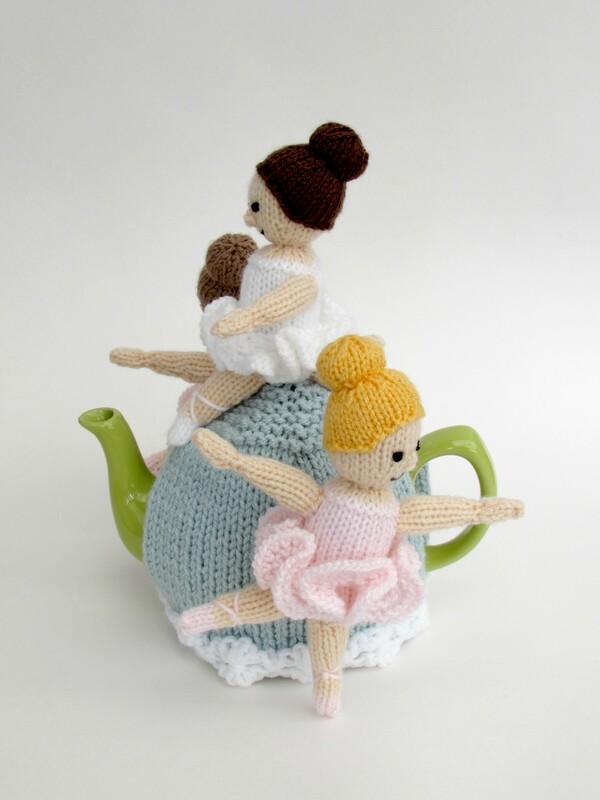 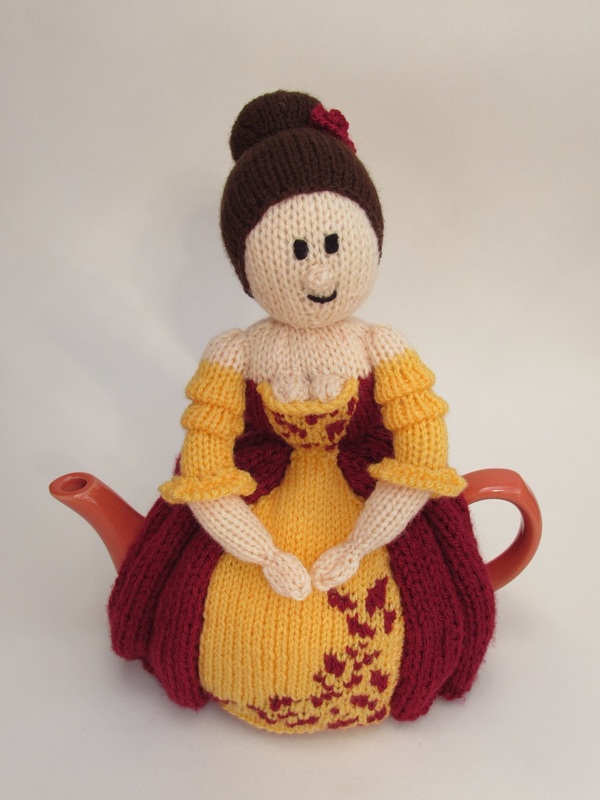 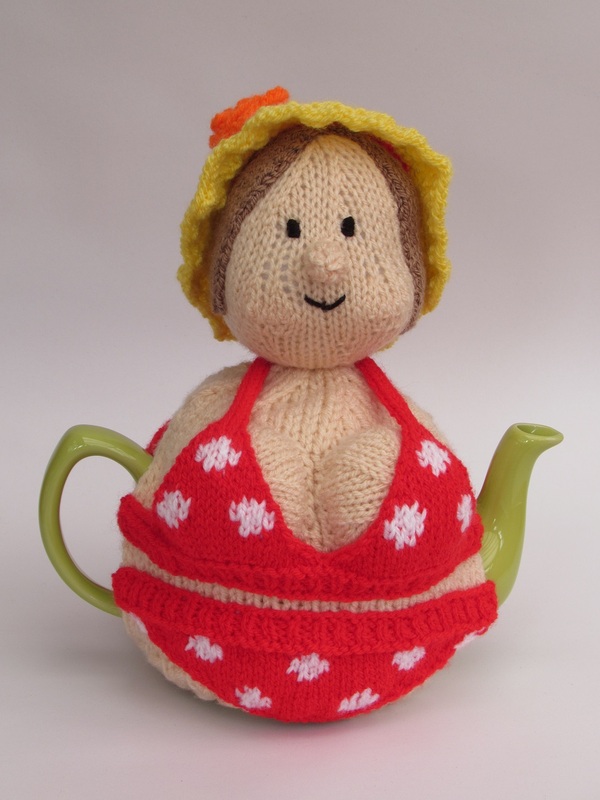 The ballerina tea cosy is the height of elegance for your teapot.